Bias Binding Shortage? Make it Yourself! My title sounds like it may have been written by a sweet little home economics teacher who can’t stress the importance of bias binding enough, but believe it or not, I never took home economics. My homeroom teacher all through high school also taught home economics (hi, Mrs. C! ), so I did spend a considerable amount of time in the home ec. room, but I never got to do any cooking (those smells,though! always made me hungry), sewing, or cleaning. I did plenty of cleaning at home, and in the barn, and for other folks for extra cash, but sewing was never something I paid much attention to. 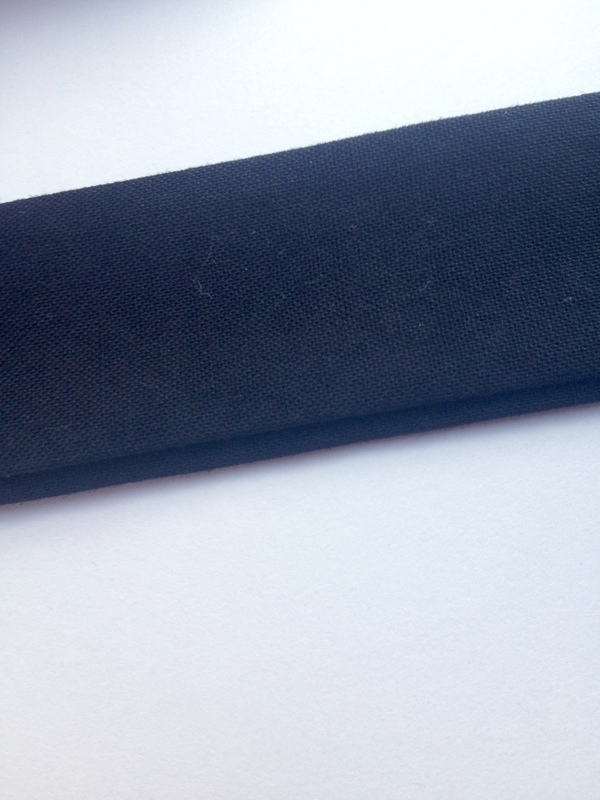 I definitely never thought I would make my own bias binding for a sewing project! Heck, I never thought I would have a sewing project! Madre, who was the original owner of my sewing machine, used to sit down and hem a pair of pants, make a pillow, or repair something for one of us wild kids, but I didn’t pay much attention then, either. Sewing just did not interest me. Hand-sewing especially turned me off, because I could not manage to sew a button onto a garment without somehow sewing it to the garment I was wearing at the same time. When I did discover my love of the sewing machine, I had a lot of learning to do. 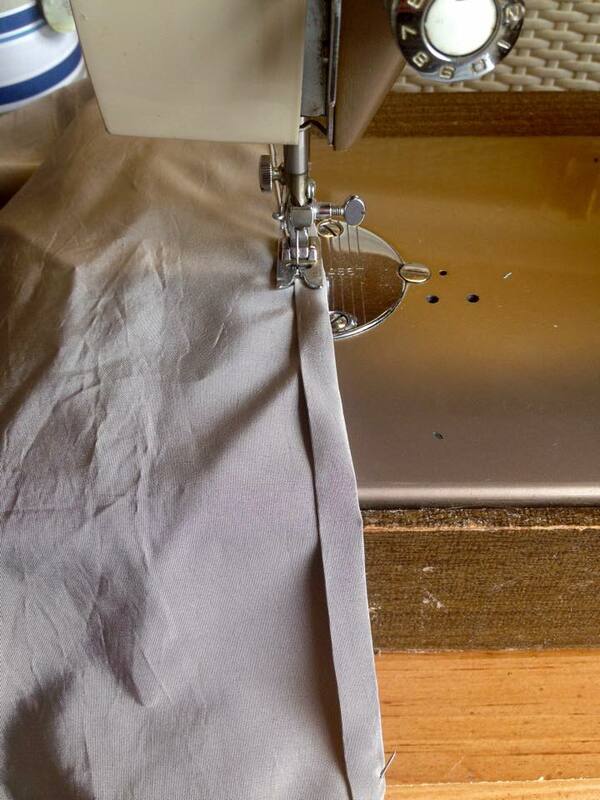 I had never threaded a sewing machine, not to mention actually sewing something with one! Madre guided me through the process of setting up the machine, showed me how to work the pedal, and then I took her machine to my house and went from there. Since then, I have definitely come a long way, but I still haven’t gotten brave enough to play with all of the different presser feet my machine has, or attempt a buttonhole. You know, hard stuff (I might get a backlash on that one). I wanted to try making salon apparel, like haircutting capes, for a long time before I actually sat down and attempted it. That stupid bias binding kept holding me back! I had never done it before, so I was intimidated. To be honest, I didn’t even know what to call that strip around the neck of the cape. There was some stuff in Madre’s old sewing kit that looked like that stuff around the neck, so I got it out and investigated. I used some of that vintage bias tape on one of my early capes, and I made a couple of capes and didn’t sew the bias binding on correctly, but they still looked pretty good. But I just couldn’t rest until I got it right, so I Googled it. I didn’t want a big seam around it, and I knew there was a trick to making it look like it just attached itself to the garment. Sewers have all kinds of tricks for attaching things and having it look seamless. Turns out there is a trick, and it’s not so bad! 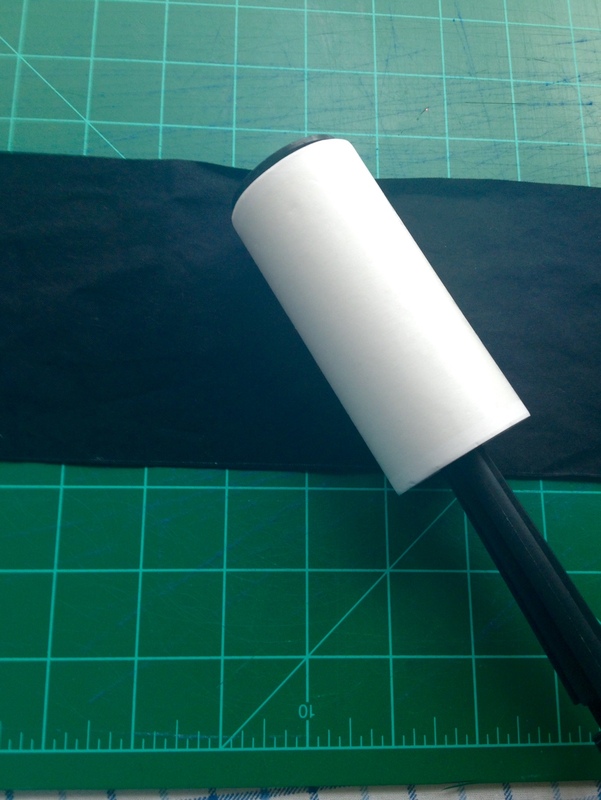 With my new internet research, I learned what kind of bias tape I would need, how to sew it on, and even how to sew it on a curve, as I would have to do for cutting capes. Success! I sewed several capes without a glitch using some nice, store-bought, double fold bias binding, and did it correctly! Then, I hit a snag. I made this fabulous, silky cape using black thread, and needed black bias binding for the neck. My stupid Wally-Mart only had single fold in black (which I of course bought without reading), and I needed double fold! I even went to two different Wally-Marts in one day, which is completely unheard of for me, but still no luck! So, I just decided I would have to make it myself. I’ve gotten pretty good at sewing it on correctly, and I definitely know what it looks like now, so why not? 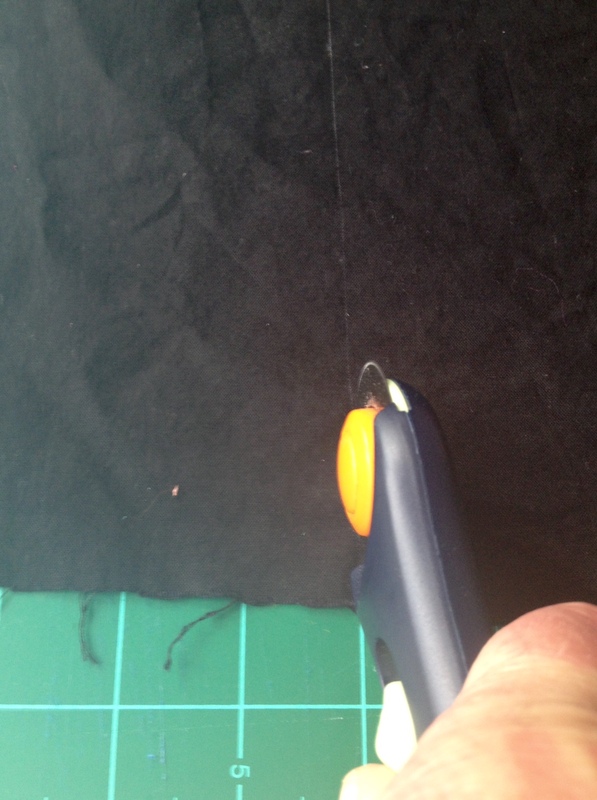 I dug out a scrap of black fabric (the only solid black cotton fabric in my stash, apparently, which was only solid black on one side), and realized that it had collected a lot of lint over the time it wallowed around in my fabric stash. I threw it to the side in frustration and said ‘to heck with it’, and let my beautiful new cape lie there for another day. Or two, or three..
Once I got through all of that drama, I made my bias binding! It’s an easy sewing project, really. I cut a strip that was 4 inches wide and 29 inches long (the neck of my capes is around 27 inches, but I like some extra). 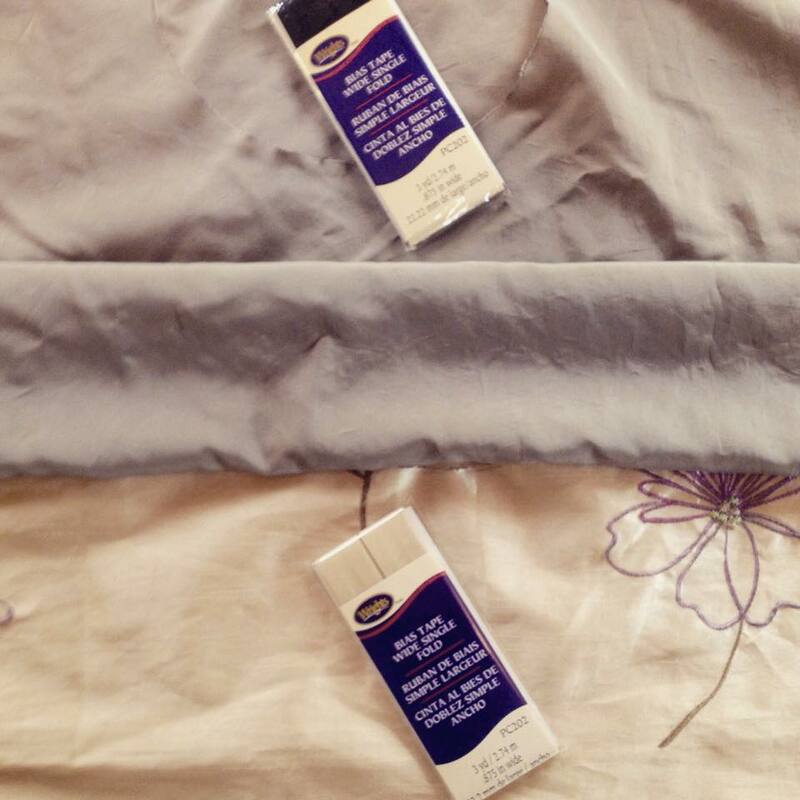 Next, I folded my fabric longways, but not perfectly in half. You want the fold the be a little off, so that one side is a little fraction wider than the other. Next, press that fold. 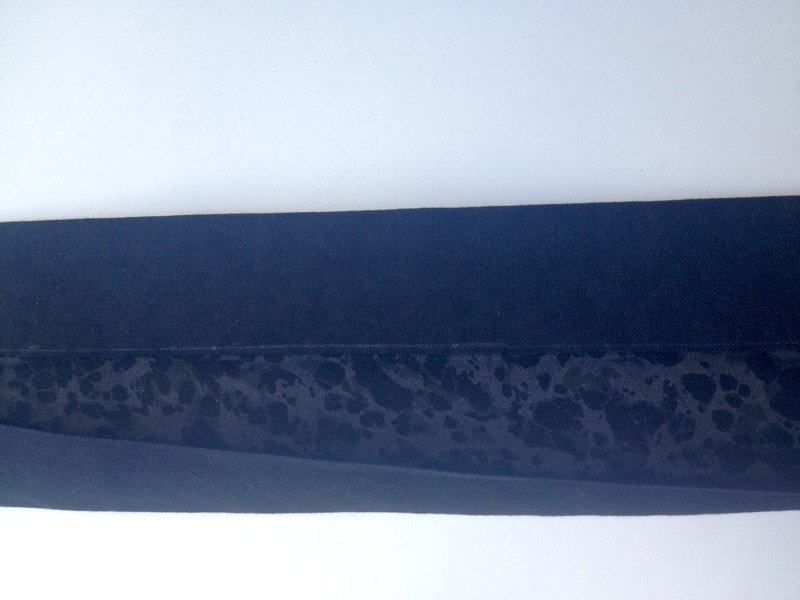 Then, I folded each side in to the middle, and pressed that, too. 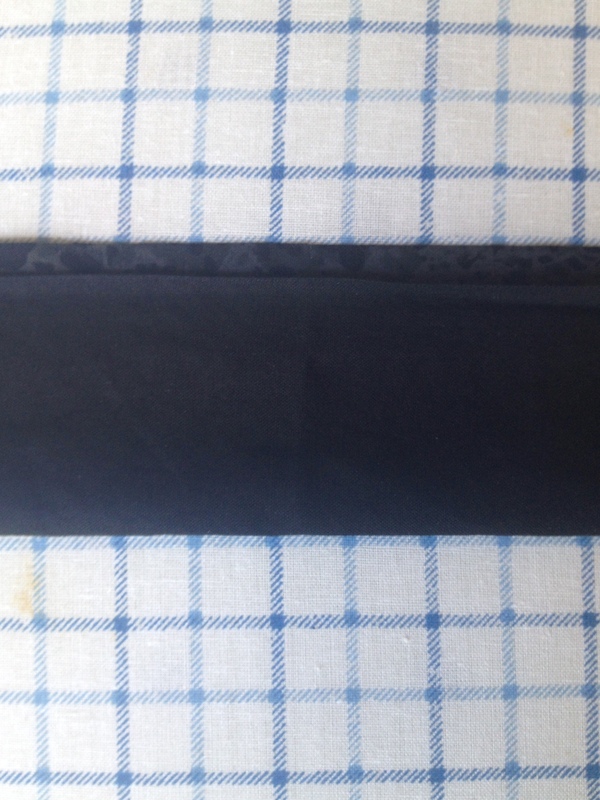 That’s it…I made bias binding! All by myself! Sewing Bias Binding onto Curved Seams is a video from Youtube, and the channel is FashionSewingBlogTV with Colleen G. Lea. Her videos are free, and she’s very pleasant to listen to and watch. I hope you’ll check out her videos! This particular video shows what I mean about sewing the bias binding on correctly, plus how to do it on a curved seam. Awesome! I also enjoy following Haley Margaret over at A Stitch To Scratch, and I always get excited when she posts in her series “I Made That Monday” or “Troublesome Sewing Terms Untangled”. She’s given me lots of great tips, and I always love seeing what she made next! 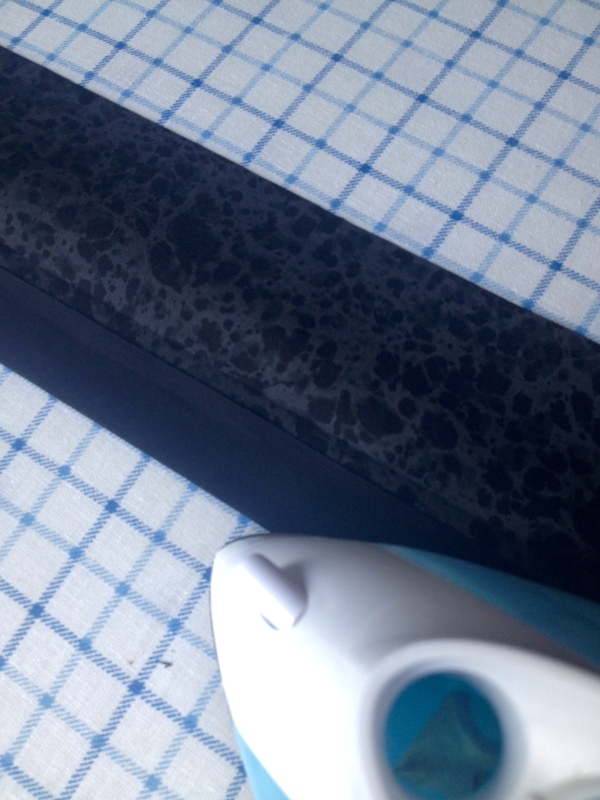 I have actually made my own bias binding, or bias tape, several times now! I’ll admit, on the first few I just sewed it around the neck, beginner-style. Those capes turned out just as cute, and by using matching fabric and thread, it really didn’t matter. But I love how professional these capes look now that I have mastered the bias binding, and I’m so glad that I can make my own when the ‘Big Box’ doesn’t have what I need! Thank you so much for visiting me today! 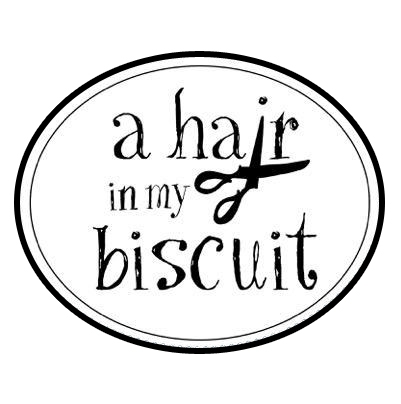 I hope you have time to check out all of my new gear in my Etsy shop, AHairInMyBiscuit before you go! I was very busy in the salon, but having two sales on Etsy this week gave me the encouragement I needed to work all weekend, as well, and I listed some new items! I think today I will take it easy, drink lots of coffee, and maybe watch a few sewing videos I found while linking back to the video I shared! I hope your Monday is just as relaxed! This post is linked up with FoodieFriDIY! You’re a smart cookie. Matching bias binding is a great custom touch. Your grandmother Frannie would be very proud of you! And though I like hand sewing okay, I’m in awe of anyone who can use a machine. Oh how I miss Frannie! I wish I could show off to her! Aww thanks for the mention! I’m definitely getting back on the craft train after a little break! Been at my machine all weekend, so there’ll be new posts very soon!